I've only had this recipe a number of years, but there are many things I like about it...first off is the fact that I made it, instead of getting it from a store. 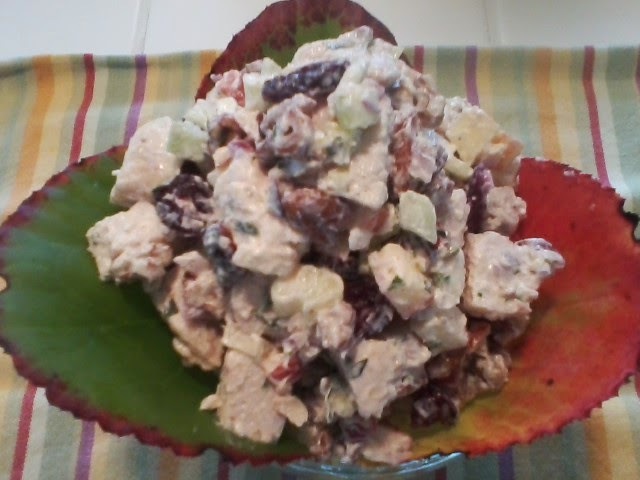 That's not to say that there's anything wrong with chicken salad from a store, but I always like to have control of my chicken pieces, which equates to no fat, grizzle or bones. I love all the flavors going on in this recipe, and think I have served this three times in the past number of months. The second thing I appreciate is that it's not overly "goopy", which translates into a lot of mayonnaise. I think you will really like this dish, and if you look closely, you will see the pecans, tarragon, celery, apple, red onion, and dried cranberries! Whisk together mayonnaise, tarragon, lemon zest and lemon juice in a large bowl. 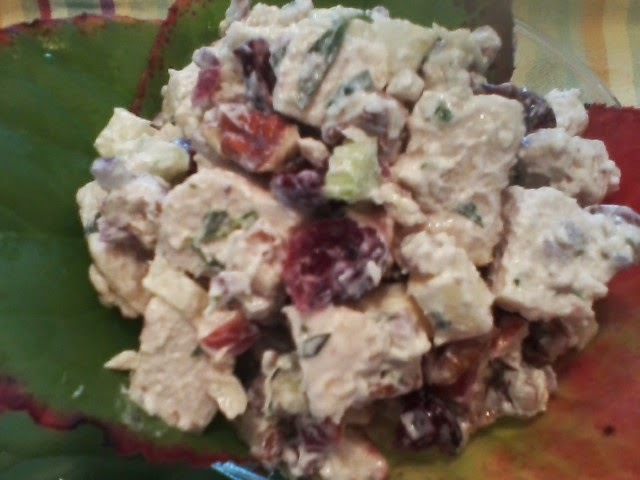 Stir in chicken, apples, celery, pecans, dried cranberries and red onion just until blended. Add salt and freshly ground pepper to taste. Cover and chill 2 to 24 hours. Bon appetit! I have never been a big fruit eater....vegetables, well that's another story. It's not to say I don't like fruit, but would always prefer having a big salad with about 10 things in it. Then came my Nutribullet, and my life did a complete 180. If you don't know what one is, you might be interested in looking it up to find out more about it. 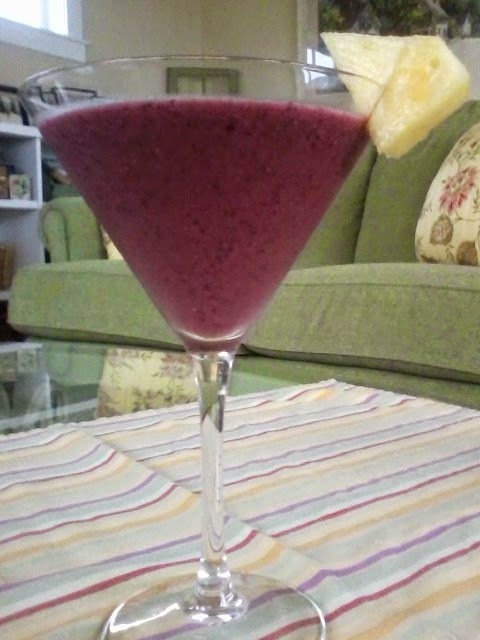 The point is, now I get my fruit in the form of a smoothie. I know this isn't a new concept...I have one friend that I worked with who would bring one every day. Megan would have this large concoction of something green looking like it was right out a swamp. But, it smelled good, so I thought I would look into getting something that could do the same thing. 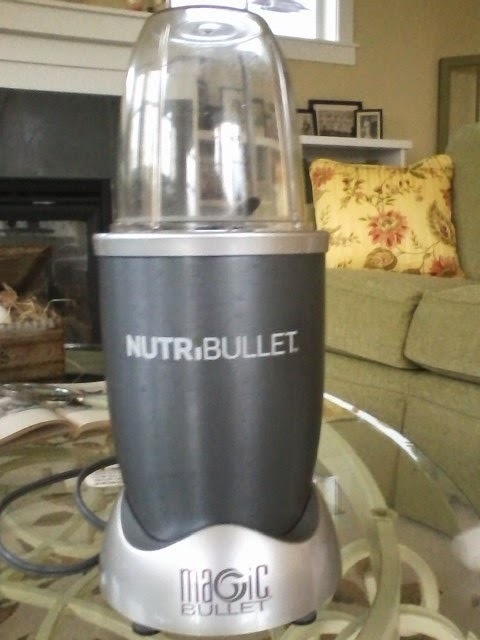 Hence, my Nurtibullet and my smoothie. I had to experiment a bit to get one that I really liked, and came up with the recipe below. I have to tell you, my favorite thing to drink in the whole world is a great chocolate shake, but even better, a superb chocolate malt. I remember having the BEST one in my life a few years ago at "The Ice Cream Man" (I had to hunt the town down looking at my atlas) in Greenwich, New York. Leslie and I were in Vermont and I wanted to take her to Saratoga Springs so we could go shopping with the elite. I'm very glad the place is not nearby...I would be in big trouble. But, if you don't live too far, and have never been there, (it's east of Saratoga on route 29) then you must go. 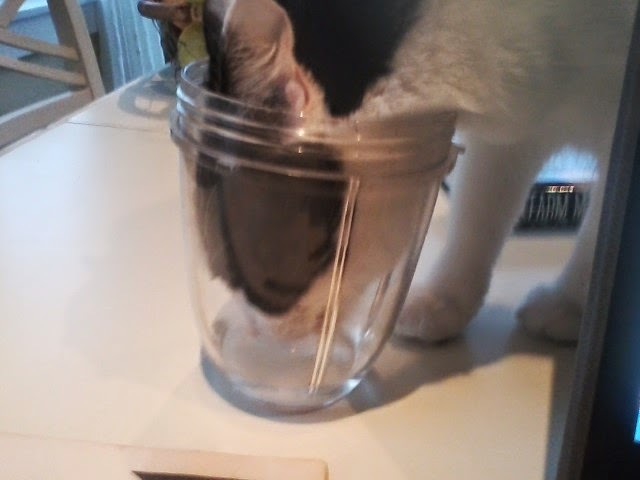 But, back to the smoothie. I have, at times, actually chosen making myself one of these instead of going for a malt near where I live. Now, that's some change! 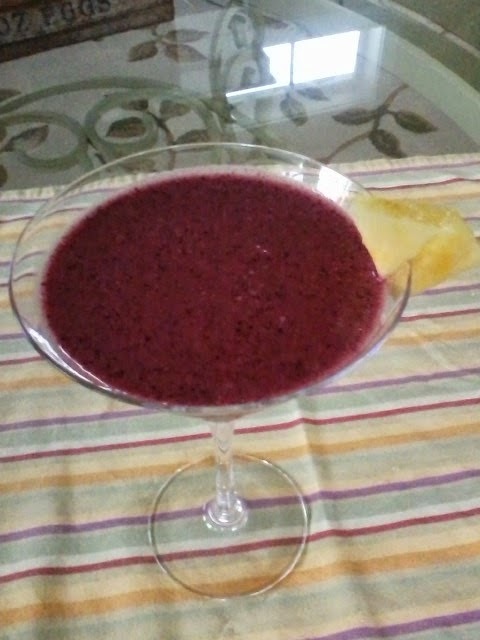 I usually put the flax seeds in between the fruit so it blends better. Mix the whole thing up. If it's too thick, and I still have some small chunks, I add a little more hot water. Bon appetit! *I usually buy bags of frozen blueberries and bing cherries at my grocery store. They store well and by using frozen, you eliminate the need for ice. 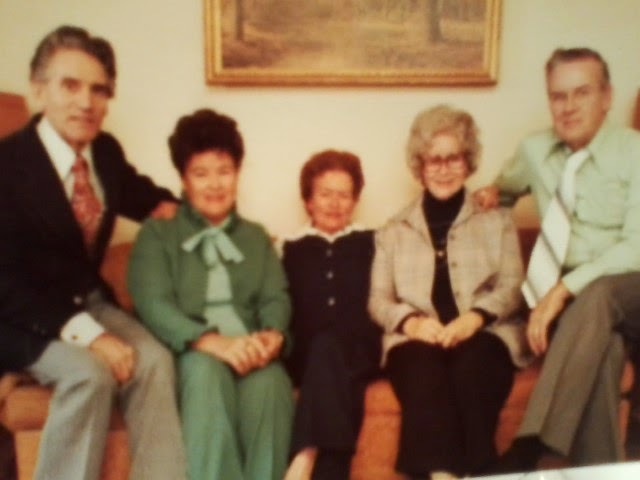 My Aunt Dorothy...She was Quite a Gal! 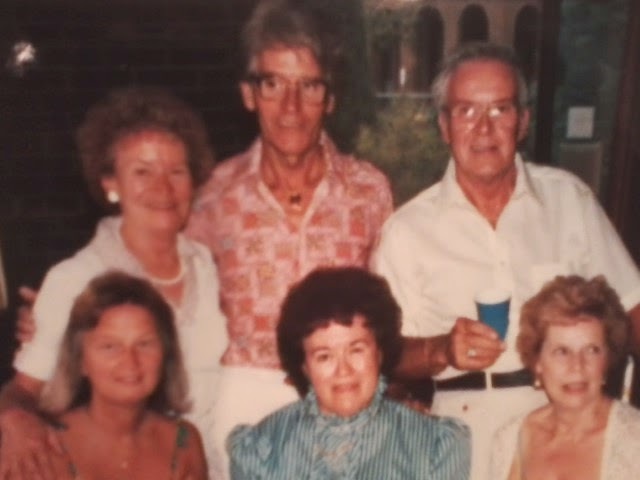 I know these aren't the best pictures, but wanted to show you my dad's family...from left, my dad, my aunt rose, my aunt dorothy, my aunt harriet and my uncle jerry..my dad was always such a sharp dresser!!! 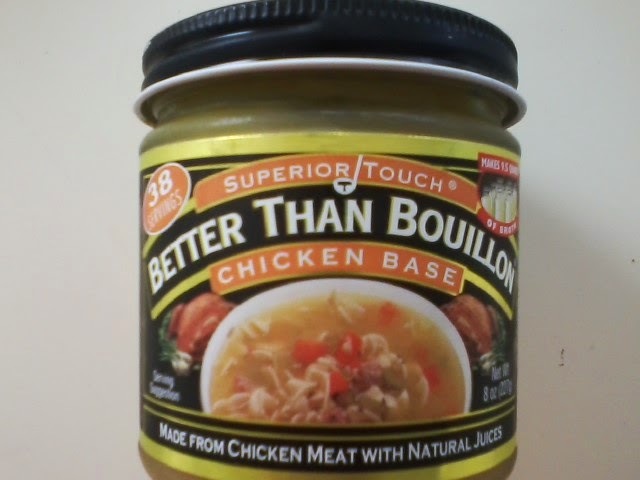 I have never been a big fan of soup, but there are a few I really enjoy, and this is one of them. There is a little restaurant in Issaquah within a historic grouping of stores called Gilman Village. I have been eating there on and off since I moved here in 1989. KCTS, our local PBS station, was putting together a new cookbook with recipes from dining establishments recommended by readers. I recommended this and hence, it was featured in the cookbook...and rightly so! The Boarding House also features an apple crisp that is "to die for" as my sister Pam would say...and it will be on this blog shortly. The topping is magnificent, and has an ingredient you would never guess! But, back to the star of this show, the soup. I have been making this for about 20 years. It's definitely not one of your low cal/low fat soups, but I "have" adjusted it from the original recipe so the cream can be half and half and the whole milk can be 2%. If you want to use heavy cream and whole milk, go for it! This soup is "fabulous", as my dear brother-in-law, Steve, would say, especially at this time of year when the weather starts turning cooler, or on a blustery winter day. 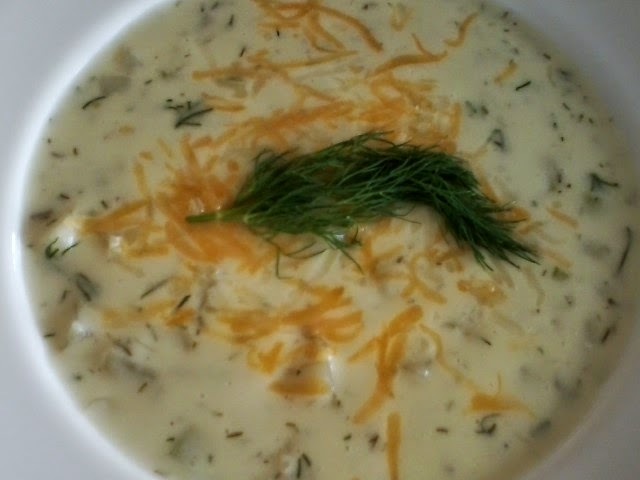 When I made this recipe and gave it to a good friend of mine who had never had it, he called me and just started in with OMG and other comments that were rather vague...then he went on to praise this soup to the hilt...he had never had anything this good, ever...whew! I do hope you try it...I absolutely love this soup! 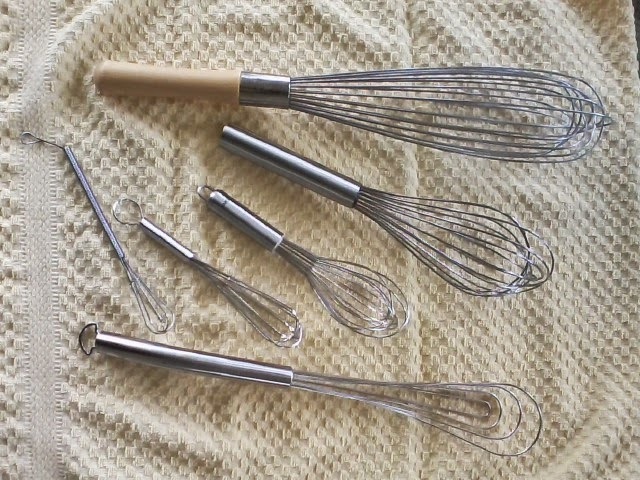 To make a roux, melt butter on low heat, then whisk in flour. Add chicken base slowly, continuing to whisk. Stir in milk. 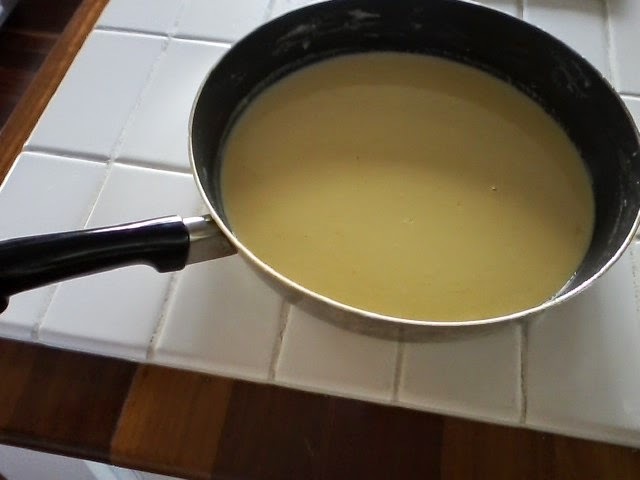 Continue to cook and stir until the roux achieves a gravy consistency, (see below). Cool before adding to the soup. Saute the onions and celery in 2 tbsp butter until translucent. Boil potatoes until almost cooked through, then drain. 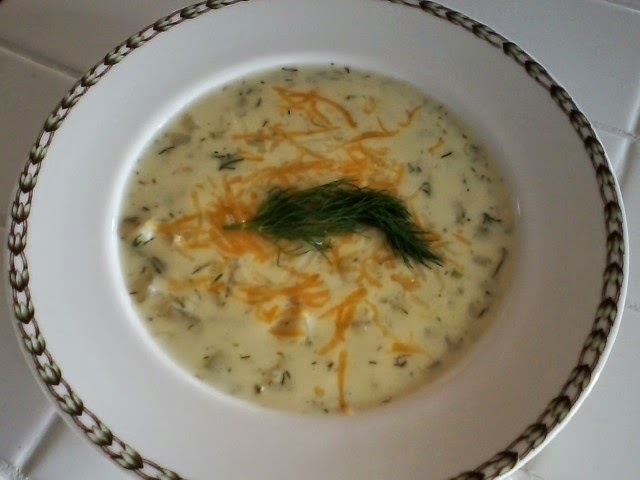 In a large pot, combine the celery/onion mixture, potatoes, roux, cream, dill and spices. Cook over medium heat for 30-40 minutes. Thin with half and half to the get the consistency you want. Top individual servings with shredded cheddar cheese. Bon appetit! 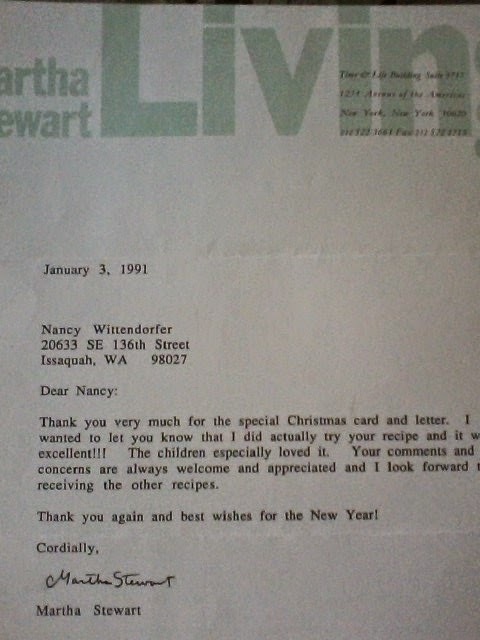 Back in 1980, I was given the Joy of Cooking cookbook by a neighbor of mine. Talk about a cookbook where you could find anything and everything...to this day I page through it and am amazed by the wealth of knowledge. That said, there is was one page that really stuck out, and it was the peanut butter cookie recipe. I don't know how many recipes I have looked at for peanut butter cookies, and the one thing I always noticed was that it was one stick of butter to 1/2 cup peanut butter, and the peanut butter never came through as much as I would have liked. This recipe calls for 1 cup of peanut butter, and it makes all the difference. I also changed the increments of brown sugar and white sugar with this version. 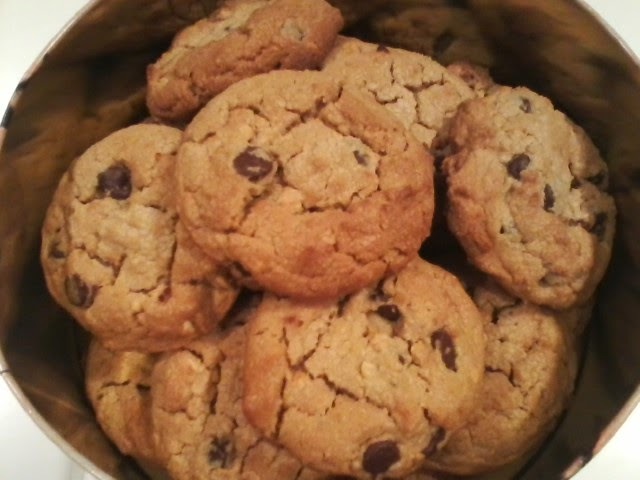 And, of course, my day wouldn't be complete without chocolate of some kind...so hence, the chocolate chips. I could make these cookies in my sleep, I have made them so many times. It's such a no-brainer, but they come out perfect every time! Heat oven to 375. In a standing mixer, blend the butter, sugars and salt until creamy. Beat in the egg, peanut butter, baking soda and vanilla. Add the flour. Take bowl from mixer and stir in the chocolate chips. Line 1 or 2 baking sheets with parchment paper. My Mirro baking sheet is 14x17 and will fit the whole batch on one sheet. Use that as a guideline. Scoop dough onto baking sheet. I use a scoop that is just shy of 2" across. You should get 18-20 cookies. Take a fork and crosshatch each cookie. Bake 10-12 minutes, or until just starting to brown on the edges. This cookie will not spread very much. Bon appetit! Have I met all of these people...well, 2 out of 3. Back in 1990, when I was working for a major airline, I was at the gate working the flight that Martha was on. At the time, we had a nonstop from Seattle to JFK. She had been in Seattle promoting her new book, Martha Stewarts's Christmas, but I couldn't attend the breakfast presentation at one of the hotels because, of course, I was working. Well, here she came to check in. Because I couldn't go to her promotional, I brought my newly-purchased copy of her book with me to the gate. I introduced myself and while I was checking her in, let her know that I would have loved to have been at her book signing, but because I was working, I hoped that she didn't mind that I brought my book for her to sign. 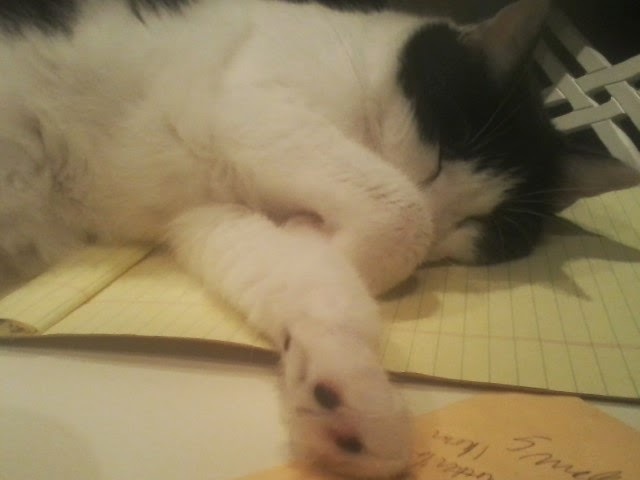 She did sign it, but didn't look all too happy about doing it. After someone took over my spot, I proceeded to write out my grandmother's spritz cookie recipe for her. I went on board and presented her with this recipe, which was something that our family had coveted for a long time. When I told my mom later that day what had transpired, she said with a look of disdain, "Nancy Joan, you gave her your grandmother's recipe?" as though I had volunteered my left leg. But in the end, my mom calmed down, and below is the nice letter I got from Martha. Funny though, none of her subsequent books contained this recipe, which I think is heads and tails better. I have also seen her previous home in Westport, Connecticut. 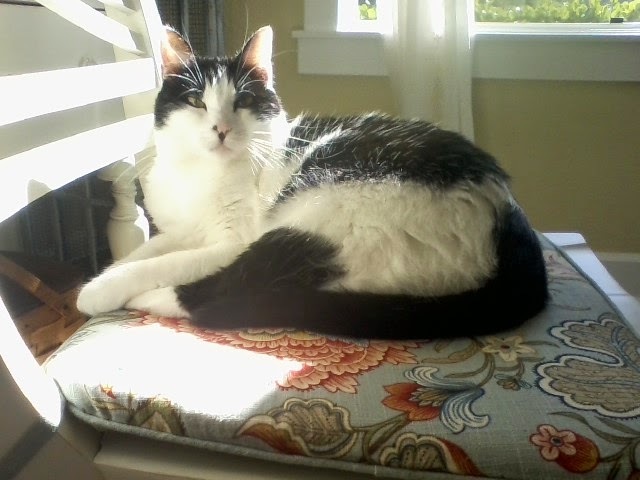 It was a beautiful day, her cat was sleeping on the porch, and I took a picture. Not gutsy enough to do what I did regarding Chris Kimball. Ina Garten....I called Ina about 15 years ago when she still owned Barefoot Contessa, that lovely store in the Hamptons. I had 6 weeks of vacation from the middle of November until the end of December, and thought, gosh, maybe I'll give her a call to see if I can fly out and work at her store gratis for a few weeks. So I did. And she called me back. She was so very nice, but said that it would take at least a week to train me, and didn't feel it would work out, but thanked me for thinking of her. And then we have Christopher Kimball, creator of Cook's Illustrated magazine, America's Test Kitchen and Cook's Country. I remember watching him when he was on Martha's show probably 15 years ago as well. They were each making their own version of fried chicken. I love him...he's so dry with his sense of humor. Anyway, about 8 years ago, I was working at our ticket counter, and had just called a premium customer up to check her in, when I look up, and low and behold, there's Chris checking himself in at a kiosk. I told my passenger I would be right with her...I was not missing this chance to talk to him, even if only for a minute. I went over and introduced myself and mentioned the Martha segment. He said, "Ya, I still like my recipe better". Well, I found out where he filmed Cook's Country, and the next fall when my friend, Leslie and I were going back to Vermont, we have been several times, I decided to not only find the house where the program was filmed, but find his house as well, which was not too far, and was on many, many acres. We actually found both, and when I pulled into his massive gravel drive before the house, I asked Les if she would go with me to knock on his door. All she said was "You're on your own!" A friend was just leaving his house and thought I knew Chris so yelled to him that someone was there to see him. He came out and I re-introduced myself and we chatted for a few minutes. Only then did Leslie come out...coward! Cook's Country is filmed in Rupert, Vermont, in an 1806 farmhouse that Chris had renovated. Leslie and I happened to be there on a day when the film crew was there, so the producer gave us a tour of the house. I could have easily made myself quite at home in that kitchen!!! Mrs. Garrity, the epitome of elegance. She was a neighbor and friend of my parents and lived 5 houses from us. Two of her teens used to babysit for us three kids, but in all she had 5 children...Donny, Jeanne, Joannie, Jimmy and Johnny. Did Mrs. Garrity cook, no. Did she have a job, not that I can remember. Did she ever dress casually, not that I ever saw. She had beautiful skin and said everything in a joking manner, but not in an obnoxious way...and because of that, you couldn't help but love her. She would host the best parties...people loved going to her house. I just can't say enough about her, and being around her just made your day. She even had a woman come in and clean her home, which in our neighborhood, was really rare. Most of us weren't poor, but we weren't rich, either. I would say a little above middle class. And the woman's name was Myrtle, a lovely African-American woman...but that's a story for another day. Mrs. Garrity had this recipe for a salad dressing, and quite honestly, I haven't had it for about 40 years. 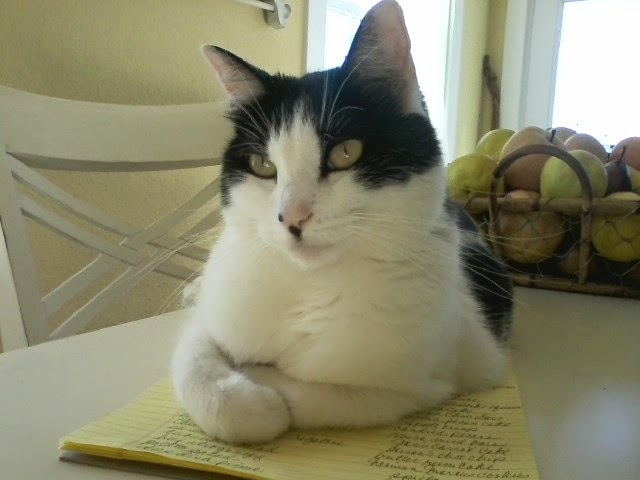 But I called my brother to ask him if he had it written down somewhere, and he just rattled off the recipe to me. All of the ingredients fit perfectly in a quart Heinz vinegar bottle, and it is so easy it's almost embarrassing. I bought a quart the other day at the store just so I could bring myself back to the day of Mrs. Garrity. In a medium bowl, mix the soup and vinegar with a whisk. Using the large funnel, put sugar in vinegar bottle. Add the soup/vinegar mixture, then the cloves of garlic. Shake well. Refrigerate. 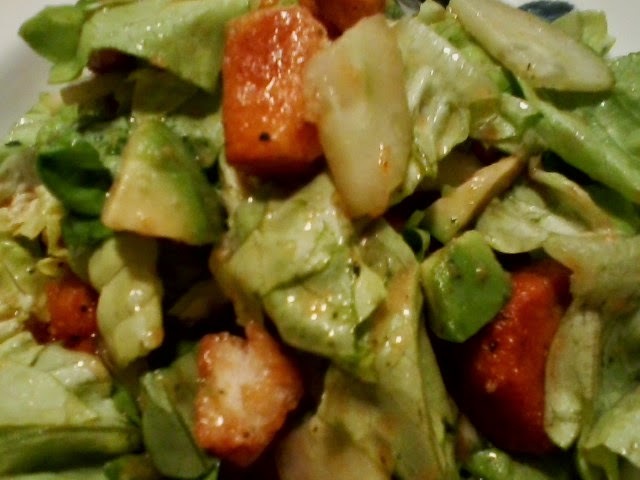 As time goes on, the dressing will keep picking up the flavor of the garlic more and more. You can either put in less cloves, or remove all the garlic from dressing after a week, it will hold the flavor. To do this, simply pour dressing in a large bowl, remove the garlic, and put dressing back into the bottle using the funnel. Bon appetit! P.S. 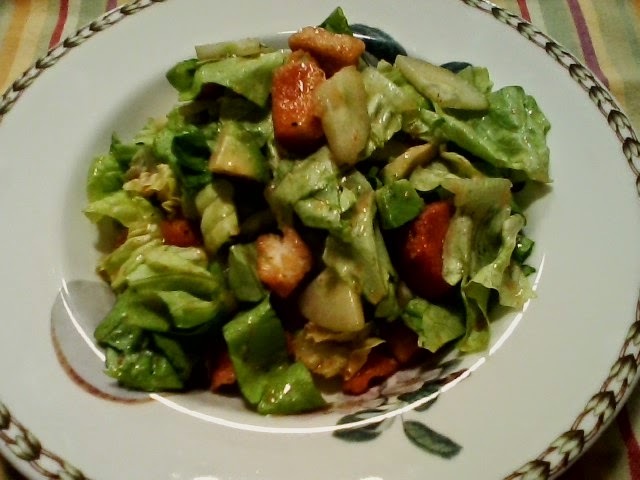 This is a very simple salad made of butter lettuce, cucumber, avocado and croutons...below is the salad dressing with a few of the garlic cloves.. I am not a big fish eater, but when I have something that I like, I will make it time and again. Ideally, this recipe calls for fresh halibut, but this time around when I made it, fresh halibut was 16.99 a pound. So, I used regular cod, which was on sale for 4.99 a pound. Much better. Even though you can't beat halibut for this dish, cod works just as well. When I told my neighbor, Nancy, I was making this dish, she was so pleased, as she was as familiar with it as I was. Mix white wine with kosher salt in large glass dish. Marinate fish in wine and salt mixture for one hour. Remove fish from marinade and pat dry. Pour bread crumbs onto plate. 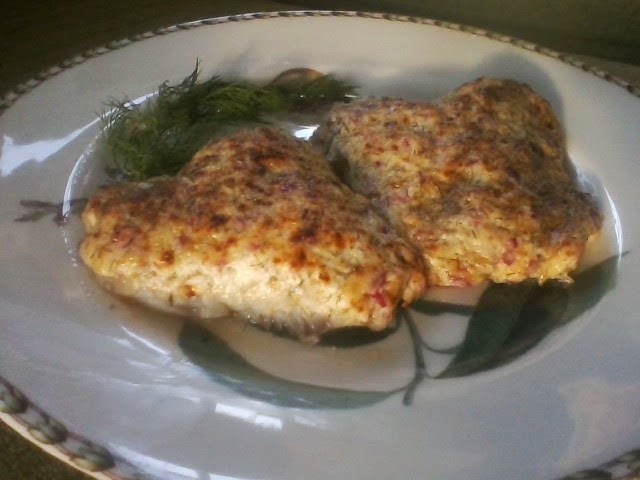 Coat both sides of fish with crumbs. 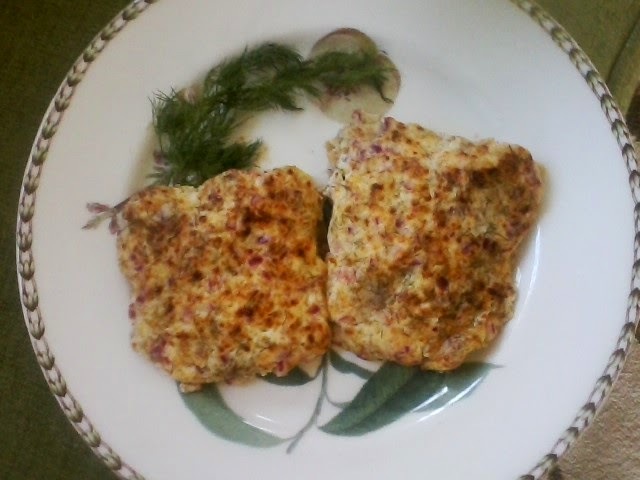 Place fish on a baking sheet and spread topping like you would frosting, (I use an offset spatula) on the top of each fillet, covering completely. Heat oven to 400. 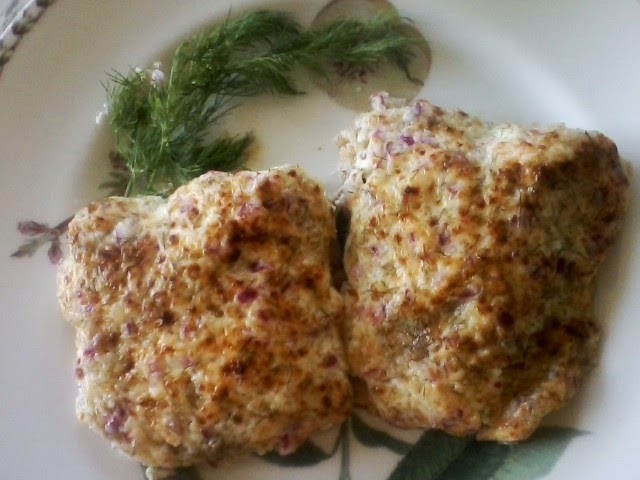 Bake fish for 10-15 minutes, depending on thickness. Fish will be opaque throughout when done and the topping should be golden brown. Bon appetit! Blend all ingredients together in a medium bowl. This recipe is a hands-down pairing with rouladen, recipe #8, and even if you're not a cabbage-loving person, this offering may just change your mind. It's like all the components of this recipe are pieces in a jigsaw puzzle coming together to form a perfect dish. In a large skillet, fry bacon until crisp. Remove bacon and drain on paper towels, then crumble. Add sugar to bacon fat in skillet and stir over medium heat, about 2 minutes. Add onion and sauté about 5 minutes until translucent. 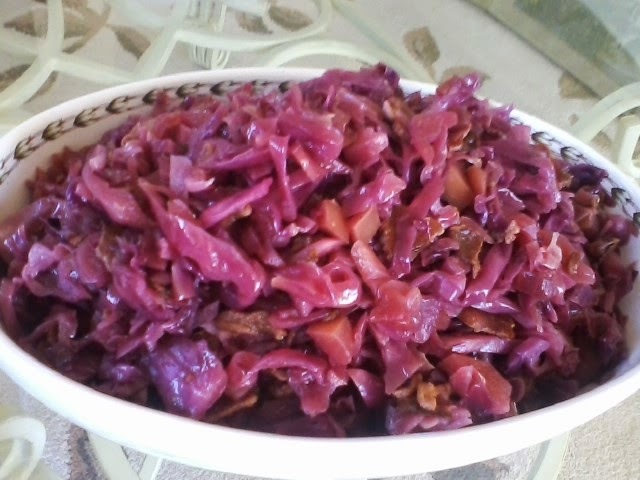 Add cabbage, apple, vinegar, cayenne and salt and stir until all are combined. Reduce heat to low and cover. Cook about one hour, stirring occasionally. 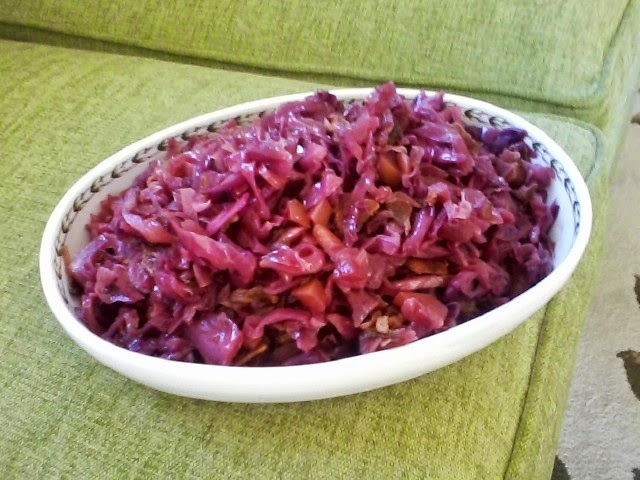 After one hour, taste cabbage...there should be a combination of sweet/tart. Adjust accordingly. Bon appetit! 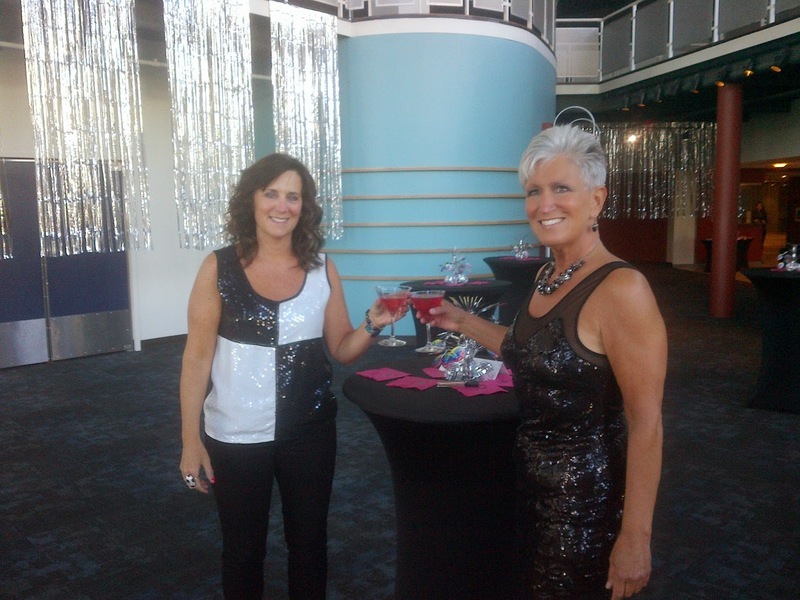 Where do I begin with Ms. Cardell....let's see, when I came to Seattle in 1989, she was the trainer at my workplace. She also had a mouth like a truck driver, and when she worked as our lead, every employee under her realm needed to be completely self-sufficient or there was hell to pay...to her. But, she was, and still is, a great cook, and I love her dearly. I used to run our charitable campaign at work and whenever I had a bake sale, I always asked Marty to bring this quiche, and it was always one of the first things to sell out, because the employees knew of her culinary ability. 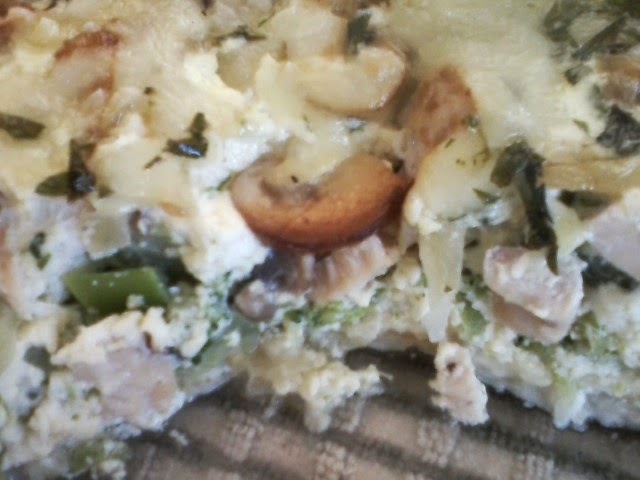 There was one year, though, that didn't work out so well for the quiche. Marty was driving it to work and it was on the floor of the passenger side of the car, uncovered. She had to slam on her brakes due to a driver in front of her, and since she had just baked the quiche and maybe had been in the car for 15 minutes..you guessed it, the whole thing slid. 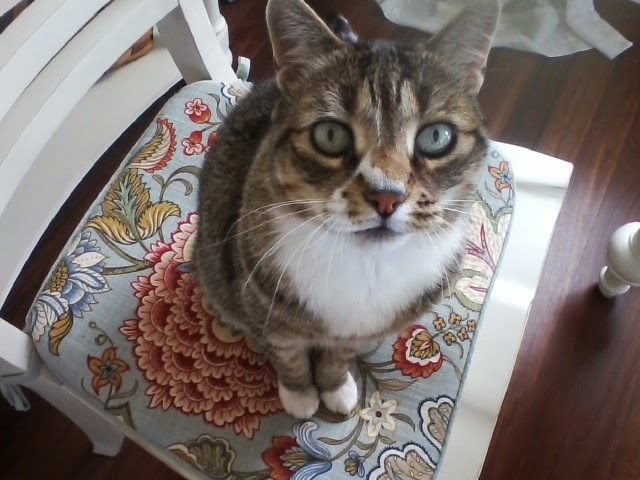 Marty also owned cats, who were occasional tenants in the car. 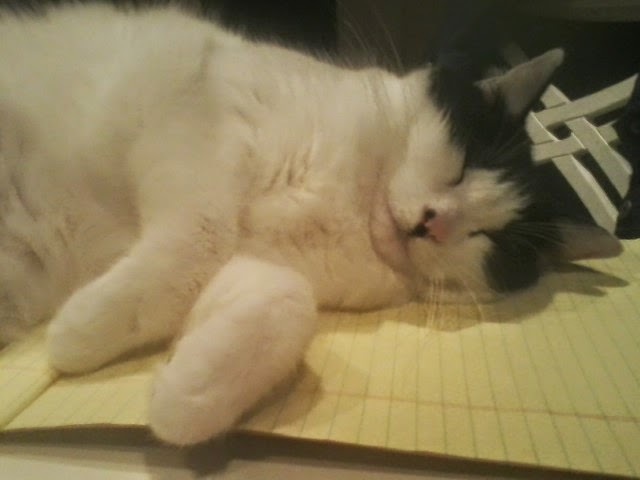 When she got to work, she looked at me with sad eyes and then directed them to the floor. So, I picked up the quiche as it was, slid it back in place the best I could, picked out the few cat hairs that were on top, and brought it in to work. No one was the wiser, and of course it sold, perfect or not. This time around, it was my turn for things not to turn out so well. I made my crust from scratch, which I always do, and the picture below shows what should happen in a perfect world, but doesn't. 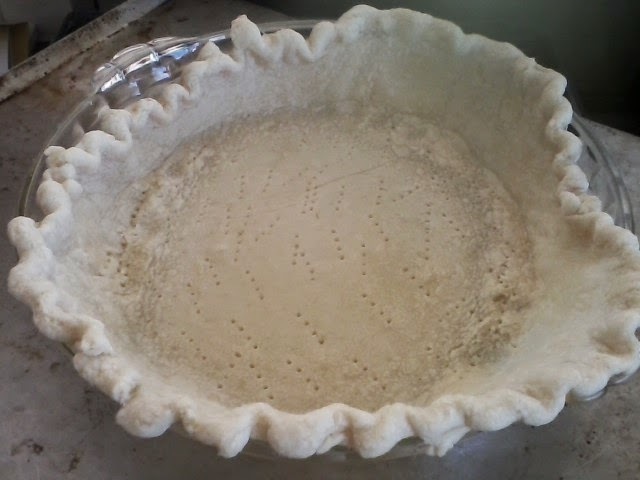 My dough was perfect, fluted edge and all, as you can also see below. I docked the bottom, which means to use a fork to poke holes over the bottom of the dough. Then I froze the dough for 20 minutes before blind-baking in the oven, which means partially bake instead of putting the quiche in raw dough, which may turn out gummy on the bottom. 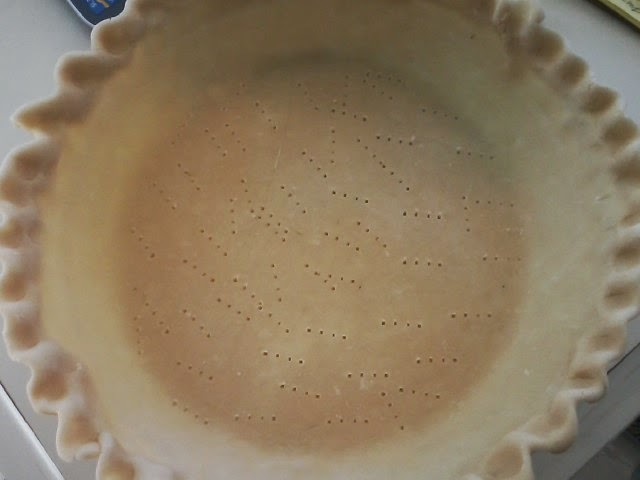 As you can see, the crust shrunk in two places and started to go down the sides of the dish. I wasn't going to make another crust, but rather show you what can happen and went ahead with the process....as much as it killed me. 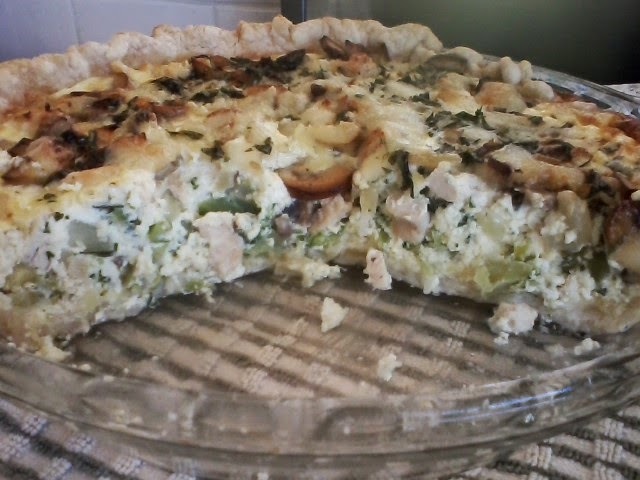 It is a fabulous quiche, one that you should try soon! Preheat oven to 450. Grate cheese and put aside. Melt butter in a skillet over medium heat and cook mushrooms and onion, stirring frequently, until most of the moisture has evaporated. Remove from heat. Sprinkle half of the cheese over the bottom of pastry crust. Make an even layer of broccoli over the cheese. Sprinkle the chicken evenly over the broccoli and scatter mushroom/onion mixture over the top. Sprinkle with remaining cheese. Whisk eggs, half and half and seasonings until blended. Pour liquid over layered ingredients. Bake 10 minutes, then reduce temperature to 325 and bake for another 30-35 minutes, or until filling is browned and firm. Let stand 10 minutes before cutting. Bon appetit! 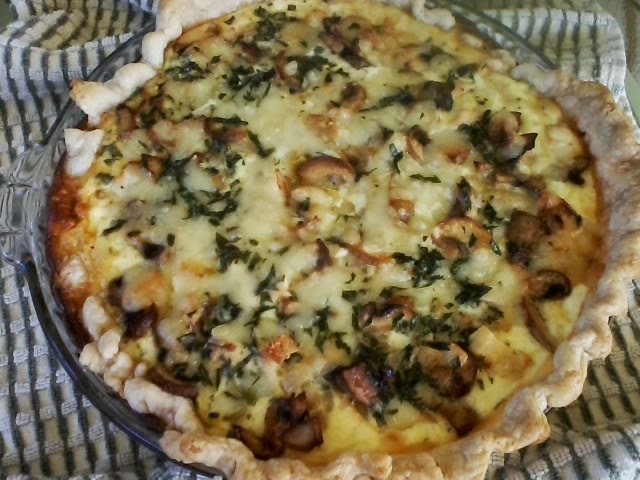 This makes one pie crust, like for a quiche. For a double crust, just double the recipe. In a food processor, put 1/2 of flour, all sugar and all salt. Add half butter. Repeat. This distributes the butter, especially if you are using a mini food processor. Pulse until the size of coarse crumbs. Add ice water, a little at a time, until dough just comes together. Put dough on counter, bring together and put in plastic wrap. Chill for at least two hours. Short of that, you can use any premade pie crust. Does this get you to thinking about when you were younger, or if you are still young, how things differ now than from what I'm describing above? Care to share? 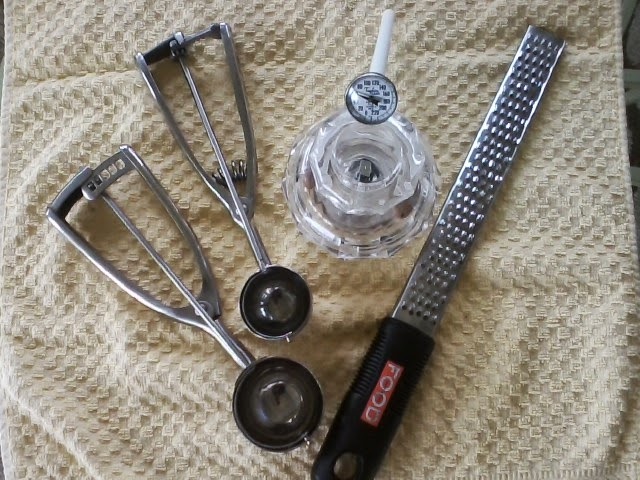 My scoops, my rasp, my fresh nutmeg mill and my insta-read thermometer. I would have thought that every large grocery store would carry scoops...not so. I can't remember where I purchased mine, perhaps Sur la Table or Williams-Sonoma. But for consistency, accuracy and a prettier cookie, you can't go wrong. 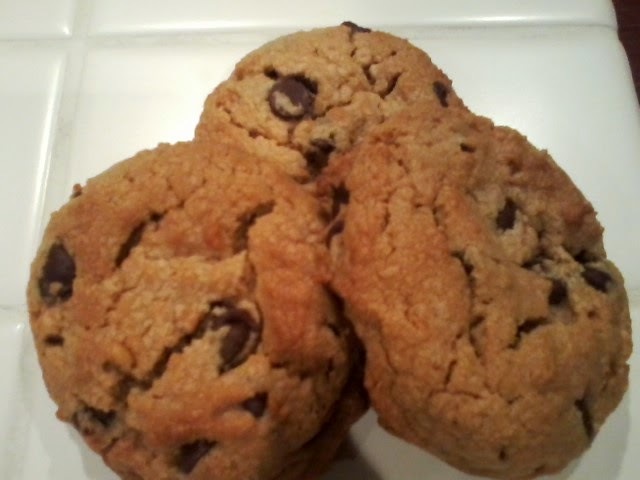 And, depending how many I'm feeding, I can choose either one...larger cookies, or smaller to go further. My rasp. Back in the day, our sole means by which to grate things was the box grater. I still have mine, and use it for bigger grating. But, oh, the grated skin off the fingers was simply not part of the recipe. The rasp does the trick, and is long enough so that you don't keep hitting your hand on the cutting board while you're going in a downward motion. It has saved my skin...literally! I think the least utilized, but something that makes a big difference, is my fresh nutmeg mill. You can buy whole nutmeg in the bulk section of pretty much any grocery store. And what I do is usually buy only 3-4 whole nutmeg and put them in the little storage unit in the mill. You just plop one in the middle of the mill and there are little teeth to grab hold. The smell of freshly grated nutmeg matches no other...just like grinding fresh coffee...it just puts you somewhere else. A few places this little tool comes in handy is on top of homemade eggnog, in pumpkin pie, in the gravy of true Swedish meatballs and my recipe of Potatoes with Leeks and Gruyere. And it's not a big expenditure. There are two things when my insta-read is a must...gauging the temperature of a small rib roast and making sure water is the right temperature when adding dry yeast so it will proof properly. I've had it many, many years, and even though they make some real nifty ones these days, as the old saying goes, "if it ain't broke, don't fix it. 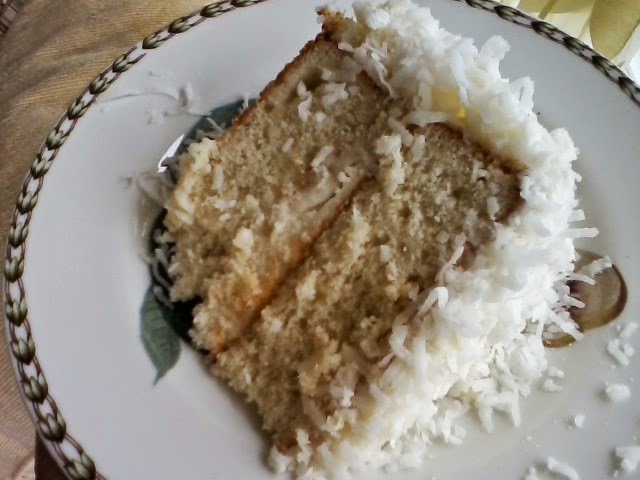 If you like pina coladas because of the Coco Lopez cream of coconut that's in the drink, and you like coconut, and you like coconut cake, this recipe is for you! This is THE BEST coconut cake I have ever had. I have made this cake for the past 10 years for my friend, Tracy, on her birthday, and in turn, she would make me a german chocolate cake on mine. It was fantastic because our birthdays were only a month apart! And, since we worked at the same place, we would each bring the cake, plates and forks, and together we would have a huge slice in our lunchroom. But, that was all dependent on how the work day was going. Sometimes it wasn't so easy to coordinate our schedules on that particular day, but we did our best only because of THE CAKE. 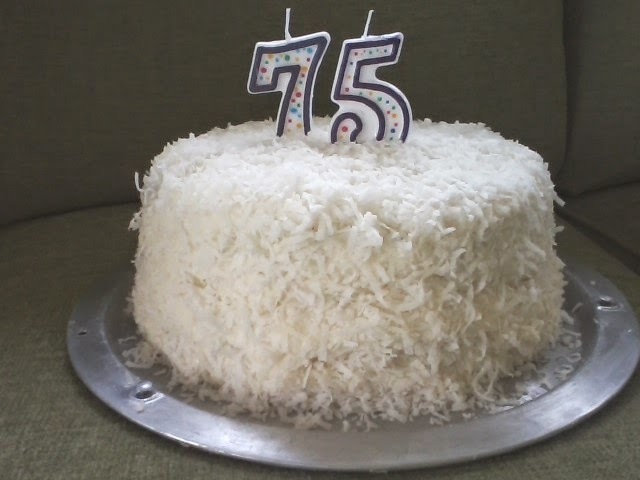 Of course, the lunchroom wasn't the place to be, as everyone else there wanted a piece, knowing it was THE COCONUT CAKE, and every year got worse. I will always have a special place in my heart for Trace, and her birthday cake, and since neither one of us work at our place of business anymore, it's sort of the end of an era. That said, a tip before you get the mixer going...whisk the cream of coconut in a bowl...I promise, it will come together, and beat your egg whites with a pinch of salt until stiff but not dry and have them ready to go...then, everything else will fall into place. But beware...if you are a raw cake batter eater, you may not have any left to put in the oven! cool completely. Place one cake layer on cake plate, flat side up. Spread with thin layer of frosting and sprinkle with coconut over whole layer. Spread another layer of frosting on second layer, flat side up, then flip over onto first cake layer. A fast flip is best as you shouldn't really hesitate, but if it lands a little crooked, no problem...you can adjust the layers quite easily. Spread remaining frosting over top and sides of cake. Sprinkle remaining coconut over cake, gently pressing into sides to adhere. (You can make the cake itself the day before if you need to, and cover lightly with plastic wrap). Beat cream cheese and butter in medium bowl until fluffy. Add sugar, sweetened cream of coconut and vanilla extract and beat until well blended. Bon appetite! 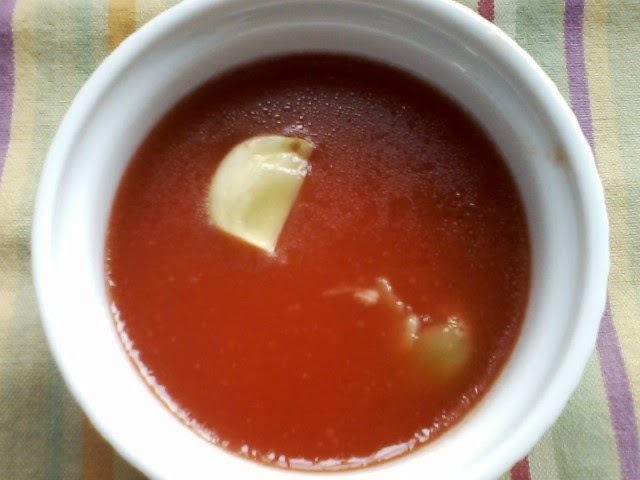 It was asked of me by my dear sister-in-law, Christie, to post a marinara sauce. So Christie, just for you, four sauces. True marinara is tomatoes, olive oil, onion, garlic and basil. Sugo di pomodoro is tomatoes, celery, carrot, onion and pepper flakes. 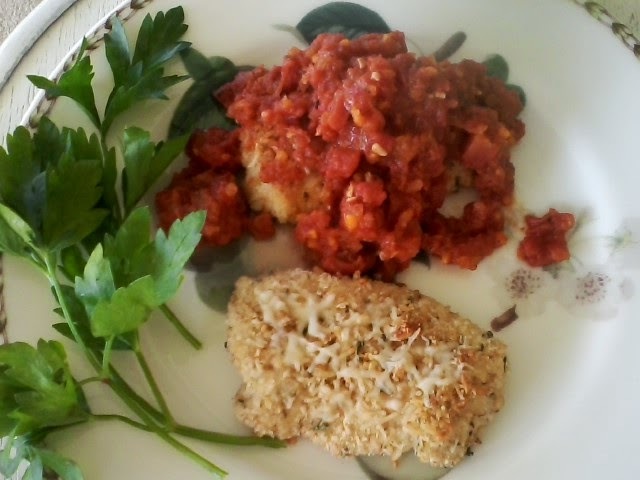 When I was making the sauce for the chicken parmesan in this blog, I thought, why not marry the two? Motherlode...below are four recipes...marinara sauce, sugo di pomodoro, the best of both worlds and Susan Stockamp's marinara sauce. Susan was a colleague of mine at work, and gave me her recipe about 23 years ago. She just sort of rattled it off one day, while I wrote down on a piece of paper what I thought were the appropriate measurements. 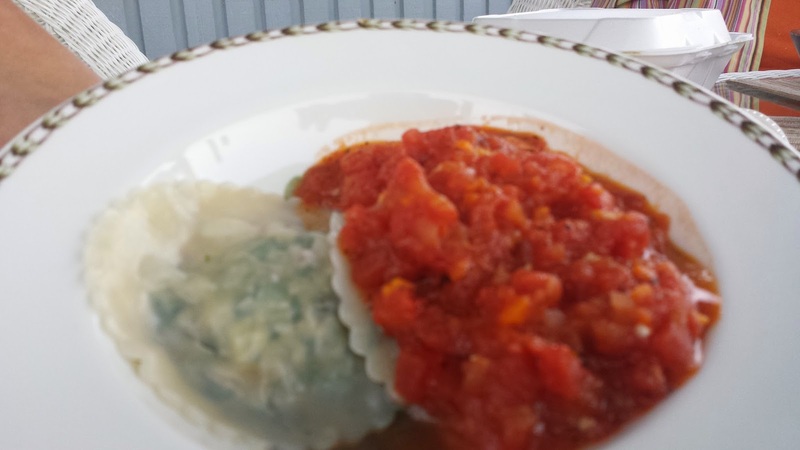 Also, I have pictured below the "best of both worlds" tomato sauce with chicken parmesan, ravioli fiorentina (both will be featured in the future) and in a sieve, draining the excess liquid into a measuring cup. For those of you who don't like your sauce with the slightest liquid, this is for you. It is extra thick, and won't thin much in the microwave or oven. Actually, you can do this with any sauce, even from a jar, so for those of you who are curious... All the pictures below are the "best of both worlds" recipe. In a dutch oven, heat the olive oil on medium/high heat. Add the onion and sauté for a few minutes, then add garlic and sauté for another minute. 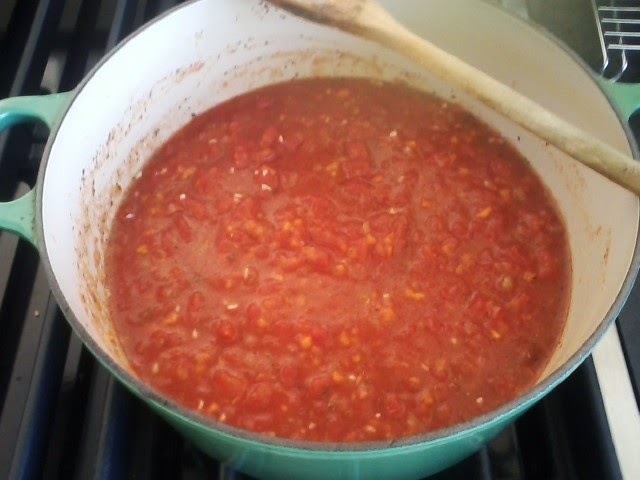 Add tomatoes and salt, and let simmer for one hour. At this point, you may add a pinch of sugar to cut the acidity of the tomatoes. Taste for salt. Add 1/2 tsp dried basil, rubbed between your fingers to release the flavor, or a bunch of chopped basil. Remember, fresh is never as potent as dried. Stir, cook another 10 minutes. 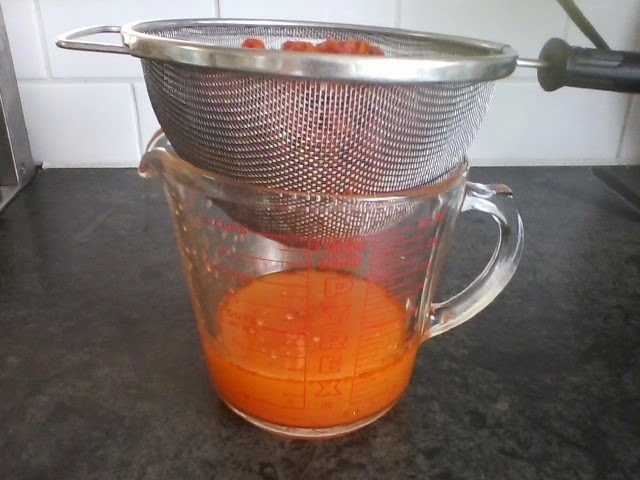 Cut carrot into chunks and process on pulse a few times in food processor. Do the same with celery and onion together. You want to partially process the carrot first, as it's a harder vegetable. Bring all three to a mince stage. Heat olive oil in dutch oven on medium heat. Scrape out all minced vegetables and put in dutch oven. Saute about 10 minutes, then add 1/2 tsp salt and pepper flakes. 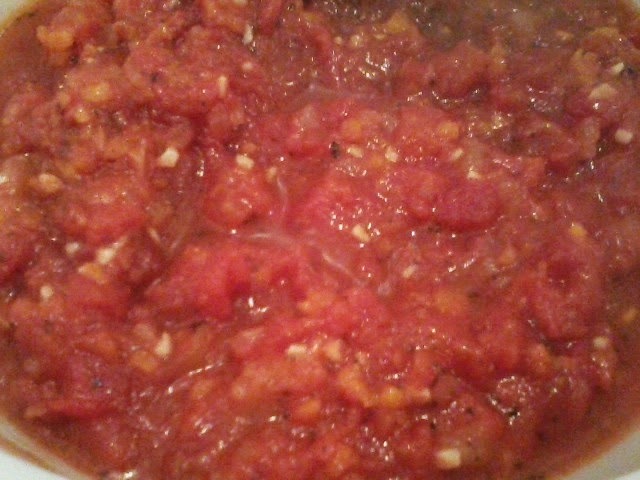 Add tomatoes, and then put 1/4 cup water in each can, slosh around and add to pot. Bring to a simmer, and cook on low, partially covered for about 1 hour. Use the same recipe as the sugo above, except add 2 tsp minced garlic to the dutch oven with the carrots, celery and onion. After adding the tomatoes, add the basil and proceed with the rest of the recipe. Put a large pot filled with water to boil. Slice an "x" on the bottom of each and put 5-6 at a time into the boiling water for about 45 seconds. Remove from water and put in a large bowl. Repeat until all tomatoes are done. At this point, you can start at the "x" and should be able to peel the tomatoes easily. Slice tomatoes. In large dutch oven, heat olive oil on medium/high heat. Saute onions for about 5 minutes, then add garlic. Saute another few minutes. Add spices and stir. Add tomatoes and stir until everything is incorporated. Simmer on low for an hour, add wine, then simmer for one more hour, or until sauce is reduced by half. Bon appetit! 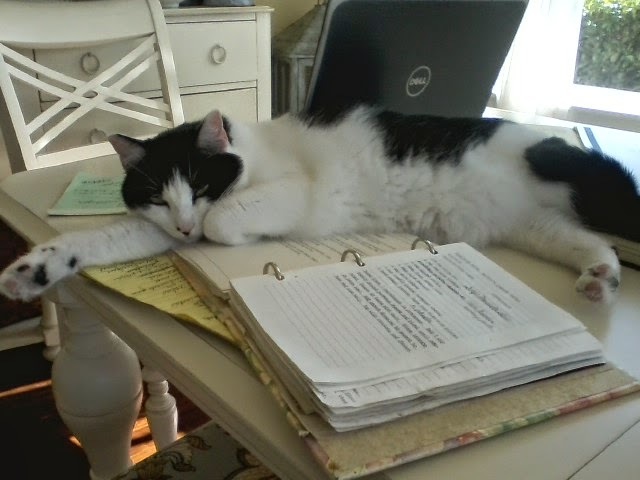 One day I was in the middle of sitting at the laptop, looking over my lists of recipes and ideas, cooking, and reading some of my cookbooks. It ended up being very trying, as every time I turned around, Cassie would be exactly where "I" wanted to be. 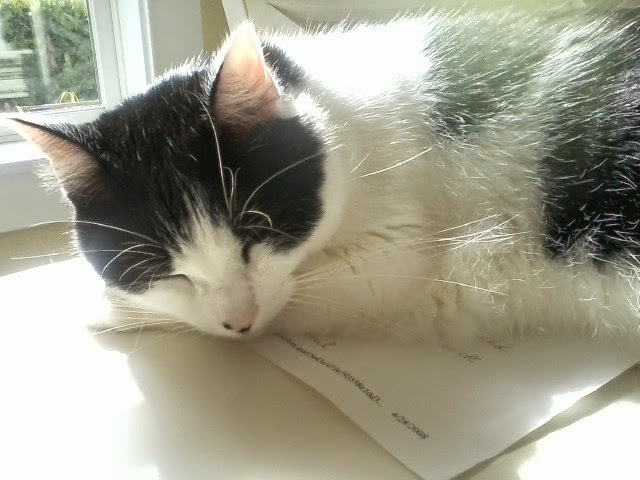 When you have an animal, if you're like me, they are your world, and in turn, you are their world. A friend of mine had to put his dog to sleep recently, and even though I didn't know him that long, and had never met his dog, I felt very badly for his loss. He felt such a sense of emptiness. So, I made a donation in his dog's name to the Humane Society of Seattle, and they in turn wrote a beautiful letter to him, letting him know that I honored his pet with a donation, and followed with two poignant stories about abandoned animals that were now part of the Society's family. Even though this is not the direction I was initially going with this story, it just sort of evolved into a tribute to our animals. I want to share with you part of what I wrote in the card I sent him...some thoughts just stay with us, because for anyone who has lost an animal, I'm sure you have shared some of these feelings. "What can I say--that he was always a comfort during a bad day without trying to find out why? That he would smile with you, but he would do it using his tail. That even if he ruined a piece of your clothing, you knew you could perhaps replace the clothing, but never a friend like that. Unabashed grief is only fitting during this part of our lives, in honor of something that never asked a thing, but of course, didn't have to.... "
Halloween is Almost Here...It's Time to Decorate!